Here?s a weight loss plan for you that actually works! Did you know, by trimming 500 calories a day you can lose up to one kilo a week? Check out the following tips to lose weight without a struggle. Studies show that if you chew your food at least 20 times before swallowing you?ll eat up to 70 calories less. It takes 20 to 30 minutes for your body to realize that you?re no longer hungry. Eating slowly will help you feel satiated on fewer calories. Sleeping less than 6 hours a night makes you eat up to 300 calories more when you?re awake because sleep deprivation triggers production of ghrelin, the hunger hormone. An extra hour of snoozing could save you 100 calories! Choose mustard instead of mayo, salad instead of fries, and veggies instead of white carbs. Swaps like these will help you cut 200 to 300 calories in every meal. 4. Eat in a smaller plate. Swap your 12-inch plate for a 9-inch one. Eating in a smaller plate ensures you?ll eat 20 to 25 percent less, helping you save up to 500 calories. 5. Don?t eat in front of the TV. Research shows that eating in front of the TV means you?ll eat up to 250 calories more. Eat at the table, and swap 1 hour of watching TV for a casual walk. 6. Beware of the booze. Alcohol is high in (empty) calories. When you do imbibe, choose light beers and alcoholic drinks with low-calorie mixers like club soda. 7. Don?t clean your plate. You don?t have to finish everything on your plate. Leave 25 percent of your meal on the plate at dinner. You can save the leftovers for a nice lunch the next day. You can torch up to an extra 500 calories every day by standing instead of sitting. Try standing or walking around when you?re on the phone or reading a book. A tablespoon of oil contains 100 calories. By limiting added fat you can reduce your overall calorie intake. Opt for cooking methods like grilling, steaming or baking. Healthier cooking methods can save you hundreds of calories. Reducing your consumption of sodas and other sugary drinks is a simple and effective way to cut calories. A glass of sweetened orange juice or sugary soda contains around 170 calories. Swap sweetened beverages with water, unsweetened tea or unsweetened coffee. If you have an afternoon free, food shopping and unloading groceries can help you torch close to 500 calories. Cooking dinner will help you burn 130 more. 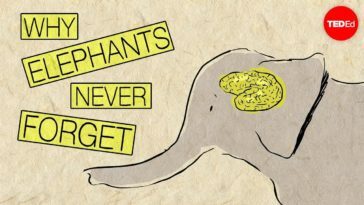 Ever Wondered Why Elephants Have A Great Memory?